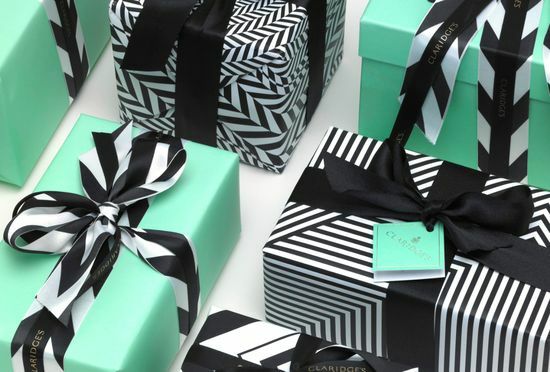 Who doesn't love presents - especially ones that look like these! I must confess - I enjoy wrapping gifts more than receiving them. Chalk it up to my Martha Stewart tendencies which I honed at at early age whilet working the gift wrapping counter at my local department store. There's just something about wrapping up your package in a smart and stylish way that gets my creative juices flowing - wouldn't you agree ladies? 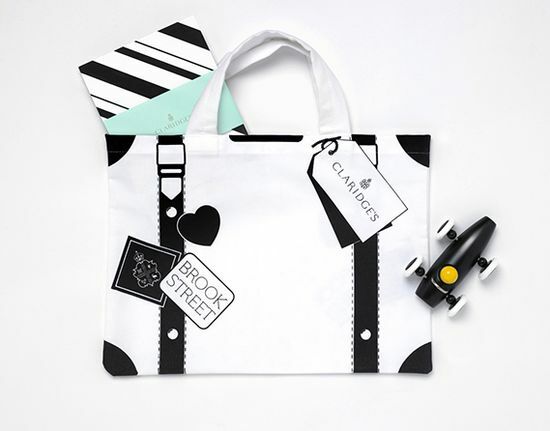 Which is why I love these smart design from Claridges, London that take the idea of packaging and gifts to a new dimension. Rather than spending all the bucks on big and fancy wedding favors that may be relegated to the re-gifting corner, think of the many simple everyday objects in your life that can be re-imagined for a cohesive look to your wedding. Maybe, instead of monogramming every aspect of the wedding think of a unique design element to bring everything together. Your favorite No. 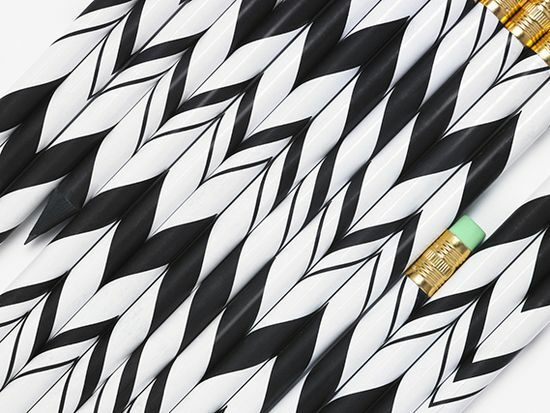 2 pencil gets a designer's makeover complete with complimentary colored eraser. A classic white tote looks so stylish and charming with a few added design touches. Simple everyday items dressed up in a new way. totally agree! i also love decorating envelopes sometimes more than writing the letter/card inside them. great post! I'm with you on gifts; I'd much rather give than receive! The December afternoon I spend at Flax (my favorite SF paper shop) is one of my happiest days of the year! ohh i definitely need to check it out next time i'm in SF!